Thanks! With the Kappa Rack the trunk doesn't like to open. There is no mention of how to align the bottom assembly relative to that square opening so the gas strut is aligned properly. Maybe I'm asking for more information than this needs to make it work but it sure would be nice to get it right the first time. There are also no lock washers for the two bolts and until you begin to tighten them there's a bit of movement there. I appreciate any helpful information. If you have installed one of these then you probably know what I'm talking about. Next step is for me to post photos I reckon. Just finished the install myself. The instructions are really missing this picture. and his pic looks like the top strut mount is in B not A here is mine. Now Why is the hole for the locking pin on the back side. WHAT A PAIN IN THE A$$ that was. Glad A2 was the right combo for my trunk lid as I would hate to have to do that again. But its in looks factory and I am very happy. On to the next mod. Yes that is the missing pic. Clears up where the little black square plate goes. Does your trunk fully open all the way now, without any manual lifting? Yeah, I was thinking of taking a video and posting here. So I installed today, but the bottom pivot head rubs against the joint pin of the hinge. The bracket is an exact fit to the square opening, so no adjustment there. Then the shaft of the gas cylinder just fits into the opening of the trunk trim. 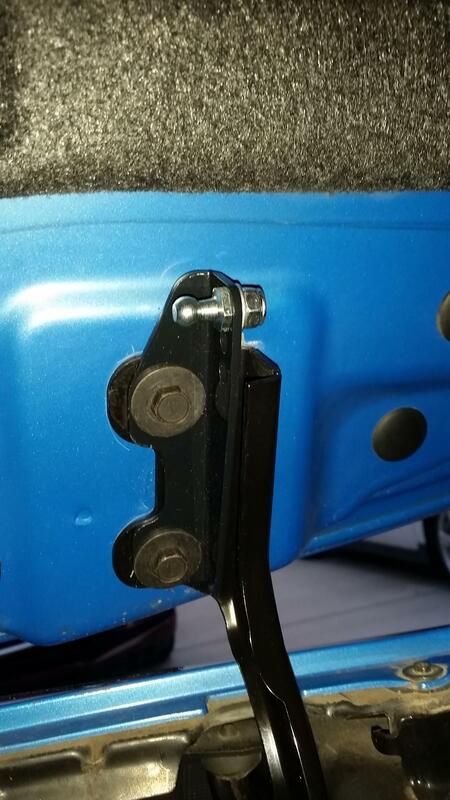 Any easy way to move the trunk bracket over a little? Pictures would help me understand what your saying. I was getting ready to tell you I installed mine last night and no issues what so ever. Then I thought I would take a closer look before posting. Sure enough mine rubs the lower ball exactly as you mentioned. It does not appear to hurt or hinder anything but I think I will remove the lower bracket and bend it about 1/8" and I should be good to go. Last edited by Robotech; 04-19-2017 at 12:17 PM. Reason: MUST fix broken quote. Whole bracket almost needs to be pulled back about 1/8", but that will affect where the shaft aligns with the cut out a the top of the trunk. I'm going to play with it a little tonight. I removed the lower bracket and reshaped the metal. Some folks call that bending it but that sounds so crude. 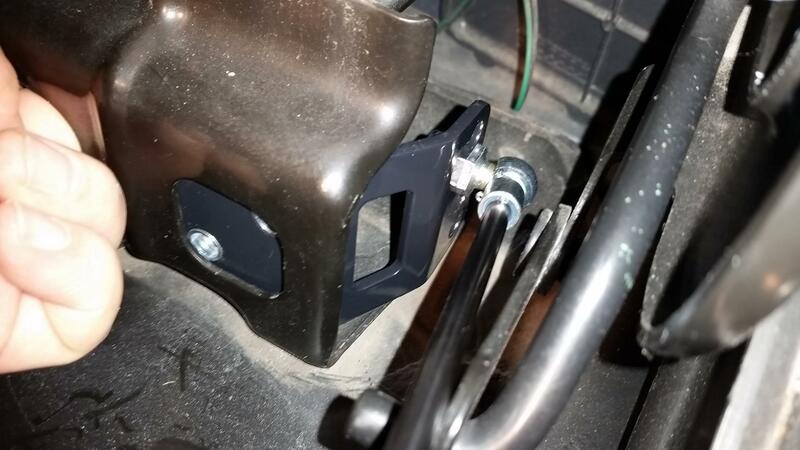 I moved the lower ball connecting point in towards the center of the car about 1'8" and now have plenty of clearance to the hinge joint. While I was in there I set the adjustment to the B-3 position. Good job, does the rod still clear okay?